Local marketing and SEO is more impactful than ever because of the way people are searching today. The number of people looking for local results has increased dramatically because people are now using the Internet rather than offline directory listings. In fact, Google reports that there are around 100 million local searches per day. People are also using mobile devices such as smartphones and tablets to access the Internet. Because most Internet searches with these devices is for local information, the search engines are now catering to these users by prioritizing local results over global ones. The app market is also focusing on apps for local searches such as local restaurant listings. How Important Are Your Rankings in Google+ Local? It’s important that your business shows up in the top positions in the local results, ideally the #1 position. This is because the top listings receive the most clicks and a low percentage of users click past the first page. But that’s not the only reason why a high ranking in Google+ local is vital. The Key to Making Local Marketing Work is to Get Your Business Listed Everywhere. If you want to make local marketing work, you want to make sure that your business shows up at every possible location your prospects are looking. For that to happen, your site will need to be optimized properly for the local directories, local app submissions, and local search results. This is a very time consuming process that many business owners may not have time for. Let us take the rein off your hands and set up your local marketing campaigns properly. We can help you stand out from the competition, outrank competing websites, and drive targeted local customers into your business. One way we can help you achieve this is by getting your business on the search engine maps. 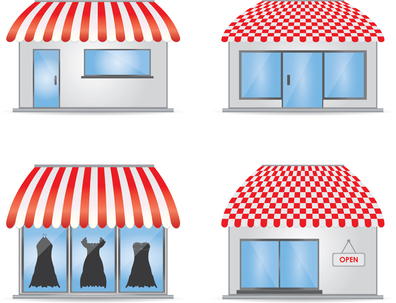 Your business will be seen when people use a tool like Google Maps to find local businesses. We’ll also make sure that your business information such as your business name, address, and phone number stays consistent and accurate. This will result in higher rankings and better visibility. In addition to our local online marketing services, we’ll help you establish a position in the global organic results. Organic SEO can help you expand your traffic once you’ve started ranking for your local search keywords. It will give your business an edge over competitors that are only focusing on local SEO. We’ve helped numerous clients rank higher with our SEO services. We research your market and customers to create a targeted campaign, increase visibility by ranking for relevant keywords, and help you outrank competitors with SEO strategies that work today. Marketing has evolved dramatically in the past 2-3 years. Advertising platforms that used to be profitable have become too competitive and expensive for many small business owners. Strategies that used to work before are no longer effective. Small business owners need to adapt to these changes and focus on using strategies that work today. That’s why going local is one of the best ways for small businesses to target their customers, establish a presence, and build their business. Consumers now look to local reviews, local listings, and social media shares to find information for products, services, and locations. When it comes to small business Internet marketing, local marketing has proven itself to be one of the most cost effective ways to get customers. Small Business SEO Success has the expertise and experience to help you succeed with SEO, local SEO, and local marketing. So if you’re ready to take the next step, contact us today. You can reach us at (201) 983-9411 or email us at info@smallbusinessseosuccess.com.